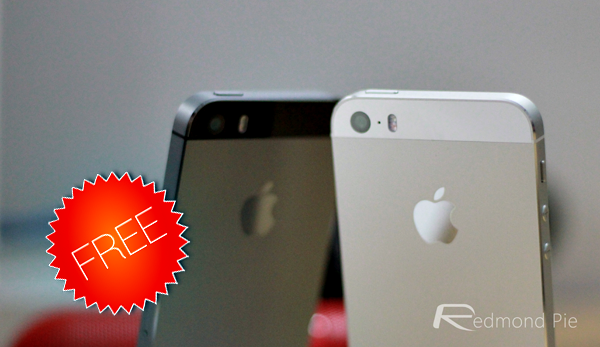 This All-In-One $5 File Manager For iOS Has Gone FREE For Limited Time, Download It Now! One area where Apple’s otherwise wonderful product, the iPhone, falls short in is the file management department. iOS natively does not offer any form of file management solution, owing to the restricted nature of the OS anyway. Then, from the several third-party solutions available over at the iTunes App Store, the good ones are mostly paid. And we’re not talking just $0.99 either; some capable file managers for iPhone and iPad can even touch a solid $10 before you can make them yours. There are free options available, but it’s a pain to find good ones out of the thousands available. 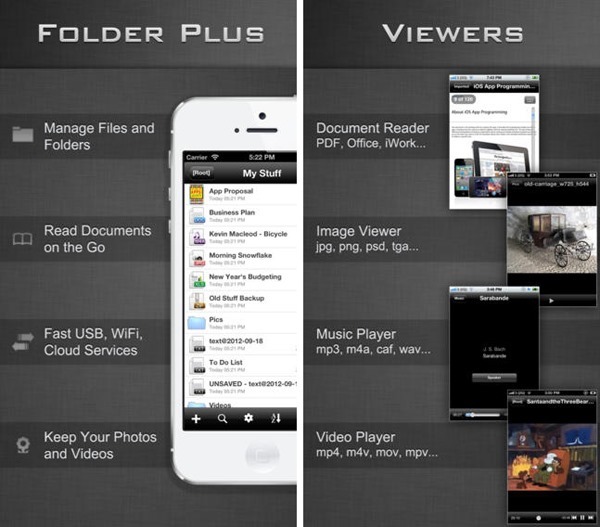 Named (very simply) File Manager – Folder Plus, which has gone free for a limited time, aims to be your one-stop-shop for pretty much all the file management, viewing and editing needs on an iPhone and iPad. We say iPhone and iPad both because File Manager is universal, and getting it once will have it work seamlessly on all iOS devices. The app usually retails for $5, but is being offered for free for a limited time. Taking a closer look at File Manager reveals a pretty solid offering (especially if you get it for free during the promotion period). 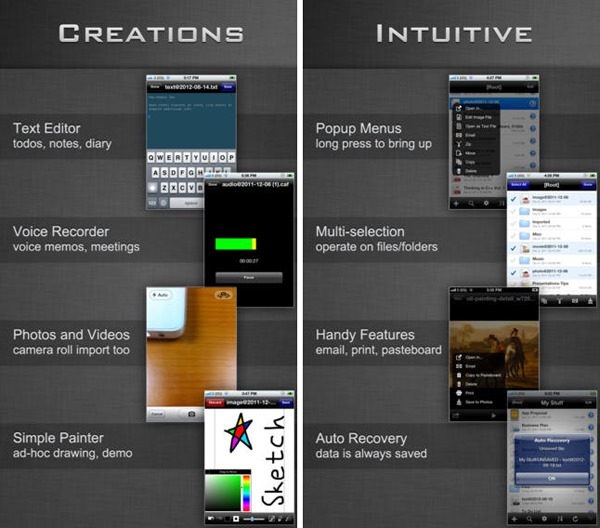 You get a file viewer, manager and editor in one package, with the most unique USP being the app’s three-finger task switching mechanism, allowing jumping between editing, viewing and management modes without relying on buttons/other indicators. Folder Plus is capable of handling almost everything that you might throw at it, including documents, text files, images, videos, audio recording, image editing, content generation etc. There’s ZIP file handling as well, along with passcode protection for your private information. All of this is just a fraction of the huge list of features that File Manager boasts, and quite frankly, we cannot really cover all of them in this one post here. Based on my short experience with File Manager – Folder Plus today, I must say I am impressed. The sheer number of features that this app offers makes the $5 seem worth it, but getting it for free is a definite bonus, and something that we’d urge you to take advantage of. The app requires iOS 5.1 or above to work, and can be grabbed from iTunes App Store link below.